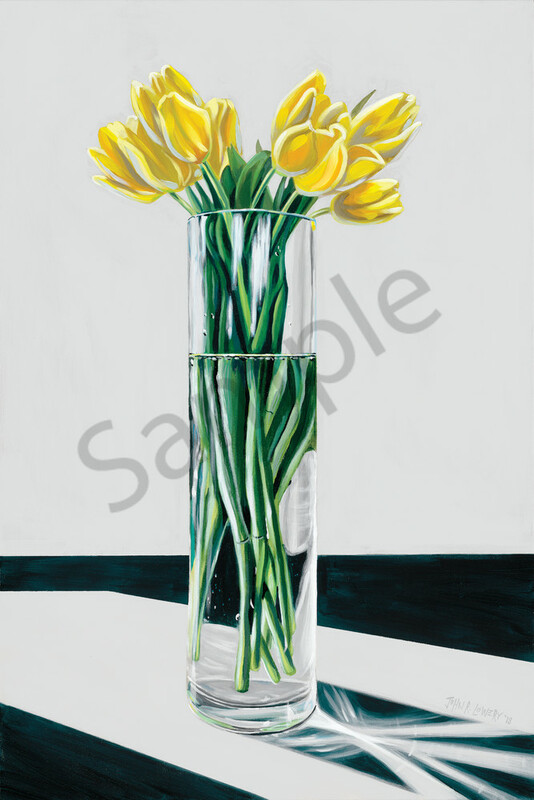 Original painting of yellow tulips in a vase, available as art prints. This original painting is available in our Studio in Round Top. Please email John Lowery at john@humbledonkeystudio.com for more information.